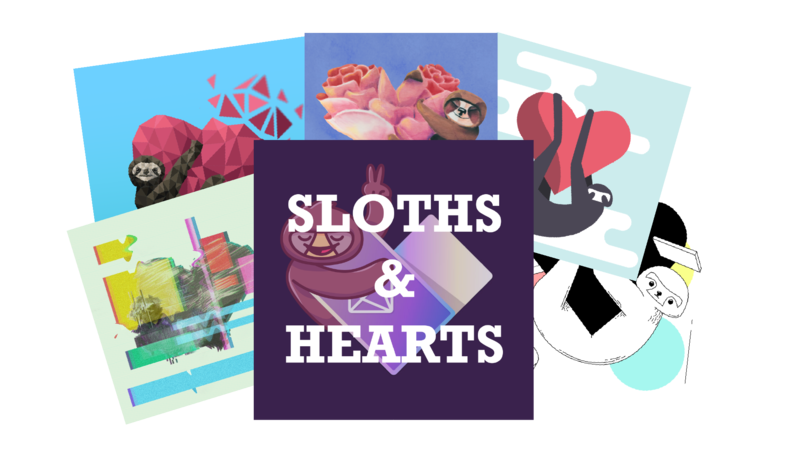 Sloths and Hearts was a digital art series I produced as a featured series for NeonMob's Valentine's Day promotion, which ran for the month of February 2018. It peaked as the 8th most popular series on the site, with over 30,000 copies of digital art claimed by collectors through the site. The series was produced largely using digital media techniques through Adobe Illustrator and Photoshop, although some pieces were created traditionally using colored pencil, pencil, markers, and pen and ink. In total, I made 26 unique cards, all experimenting in different styles.